The holidays are a great time for parties. People are feeling cheery and festive. A holiday party is the perfect time to bring everyone together to celebrate. If you run an office, when the holidays come you should consider hosting a holiday party. In today’s blog from The Alleen Company, we explore some of the reasons that throwing a company party will help keep your business running smoothly. This is the number one reason to have an office party. Oftentimes, in the hustle and bustle of day-to-day work, employees can feel like their hard work goes unnoticed. When you take the time to throw a party for the people working for your company, it shows them that you recognize the contributions they have made to your success. This is a huge boost to office morale. People like to work for companies that appreciate them, helping the office to run much more smoothly. So, we suggest taking the time to put together a little soiree for your employees! An office runs more smoothly when staff members know each other well and communicate effectively. It is difficult to cultivate this type of team building during regular office hours with the demands of daily work to contend with. An office party is a great opportunity to let your staff get to know each other better and build a strong team. Make sure that you plan activities that help break the ice and make people feel comfortable interacting with one another. Having a holiday party gives you the opportunity to showcase your company values. If you value philanthropy, you could organize a raffle during your holiday party in order to raise money for an important cause. If office camaraderie is important to you, you could organize activities that allow people to interact and build valuable relationships. Giving awards to your employees is a great method for recognizing the contributions of your standout staff members. 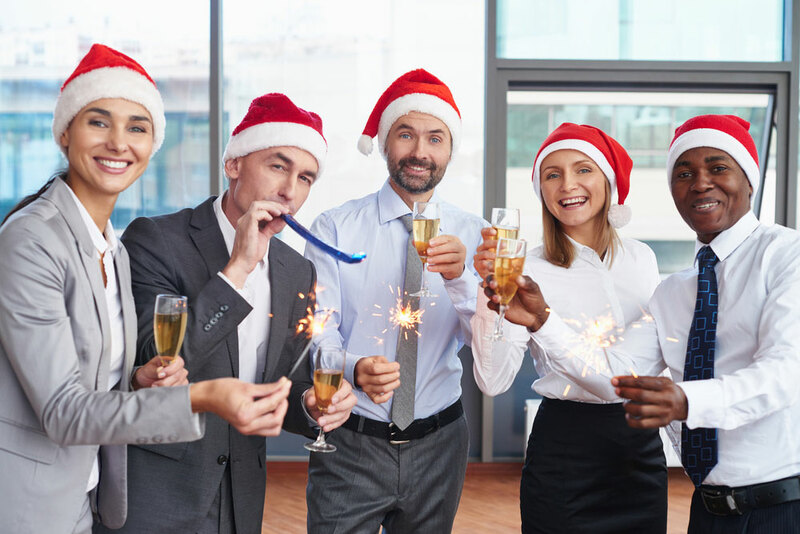 Whatever it is that’s important to your company culture, an office party is the perfect place to communicate your values and keep them strong. Don’t miss out on that opportunity! Let The Alleen Company Plan Your Company Party! If you want to throw a party for your office, make sure you contact us at The Alleen Company. We are well equipped to help you with anything from table and chair rentals, linen rentals to transform your office space, china, glassware, flatware rentals, serving equipment, and event planning services. Whatever it is that you need, we would love to work with you to make sure that your office party comes together smoothly. Contact us today to find out more about the great services available at The Alleen Company!